The copper nickel basket strainer is the output of our thought to deliver the outstanding solution against the corrosion issue and is the glory of our copper nickel basket strainer. This basket strainer makes us illustrious among the industries for its strength, longevity and excellent performance across the life span, largely used in the media where the corrosive chemicals are common. The copper nickel strainer is available in simplex design as well as duplex design (self cleaning) as per the need of the application. Whatsoever type of basket strainer you select, is configured and fabricated as per the ISO 9001:2015 standards to make it internationally accepted. The perforation of the basket strainer is available in different sizes make the straining operation more efficient and accurate. The high grade copper nickel material performance outstandingly against corrosion and therefore is the best bet for the drinking water as well as petroleum products. The ability of the offered basket strainer is apparent from the huge demand of this strainer in the national as well as international market. All the fanged end dimensions of the strainer are in accordance to the ASME standards; however DIN or BS standard is available upon customer request. 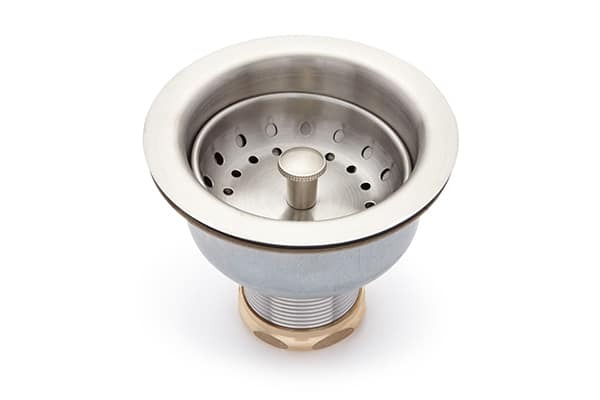 This copper nickel basket strainer is recommended to use for 150 psi to 300 psi operating pressure, is available in India as well as other countries at the leading prices.